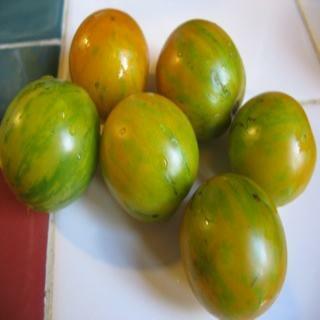 Orange Green Zebra seeds produce tomatoes just like green zebra, only exteriors are amber with green stripes. Very prolific. Great for salads and salsas. Orange Green Zebra tomato seeds. Just like green zebra, only exteriors are amber with green stripes. I like the flavor better than Green Zebra. Very prolific. Great for salads and salsas.